Ever dreamt of a hotel style bathroom? 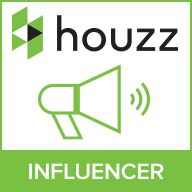 When you’ve stayed in that uber trendy hotel in the countryside and left wanting to redesign your whole home? Your Home Magazine‘s November issue featured our Vasca Crystal Bar Bathroom Chandelier in their Chic Hotel Bathroom look book. They’ve combined our luxury crystal light fitting with statement tiles, vintage glass jars against a backdrop of subtle magnolia to create a high-end hotel look. For instance, a classic look that can so easily be replicated, even on a budget. Furthermore, we’ve pulled together our own collection of bathroom lighting and accessories to help you recreate this featured look. 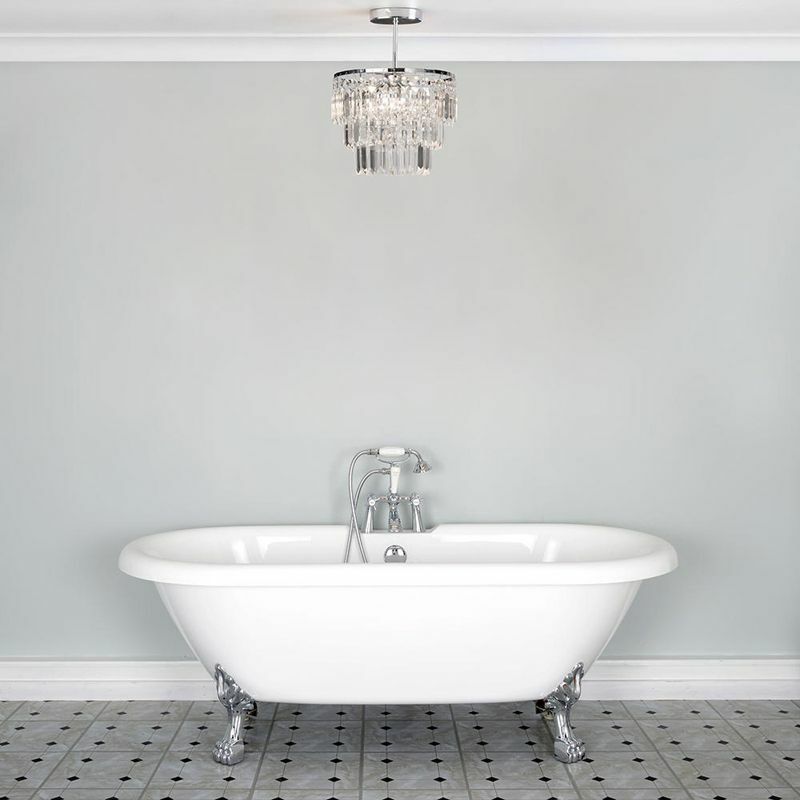 Our Vasca Bathroom Chandelier is the pièce de résistance to any bathroom decor. Furthermore, gone are the days of simple spotlights and plain flush fittings. With our Vasca bathroom chandelier range you can now add some style. 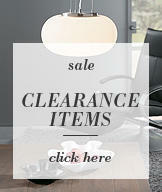 As well as character and sophistication to one of the most used rooms in the home. Also, not forgetting the IP44 rating. Therefore this allows you to install these stunning fittings in bathroom zones 2 and outside zones. A three tier design of chiselled crystal prisms cascade down from a simple chrome ring. 3 concealed bulbs give enough light to create a sensual and relaxing ambience. 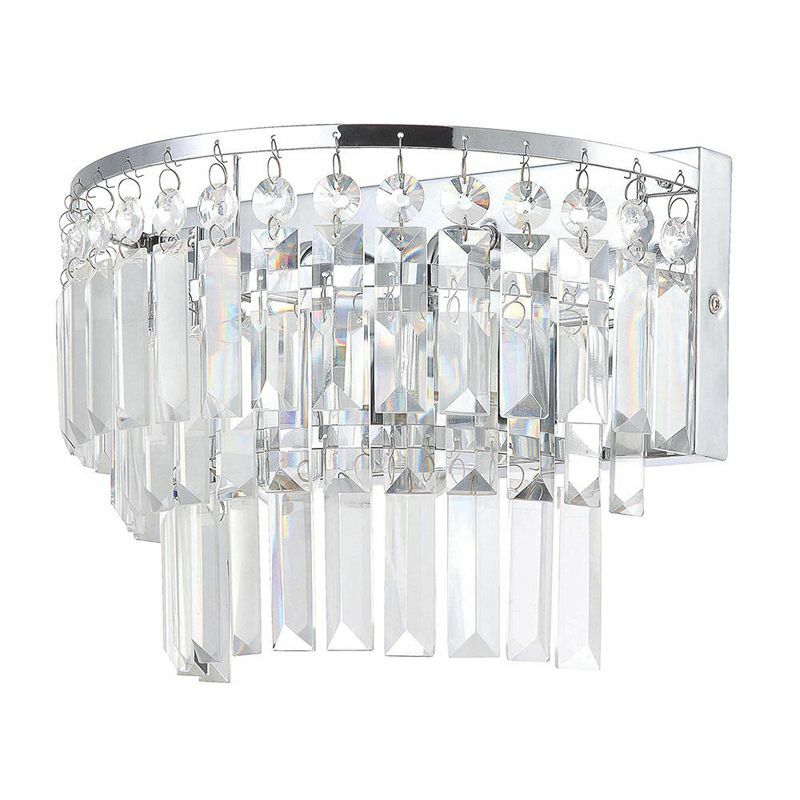 When lit the light reflects off each crystal to create a twinkling, sparkling effect. 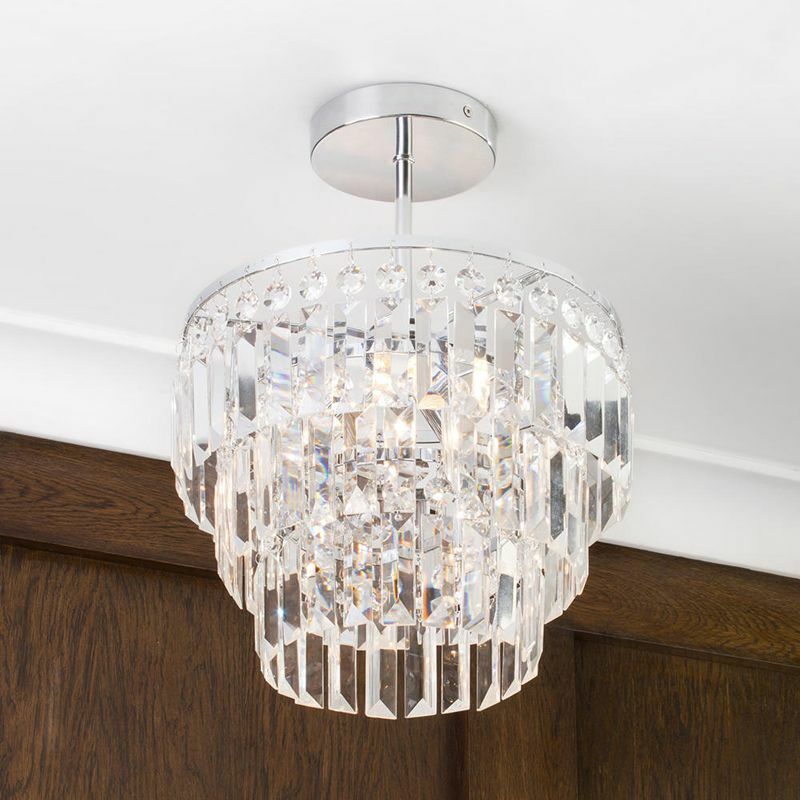 Our semi-flush chandelier option works well in low ceiling homes. Whilst the larger chandelier design can be used in homes with more height. Lastly, complete the boutique hotel inspired look with our Vasca Crystal Bar Bathroom Wall Light and our Toscana LED Magnifying Mirror. 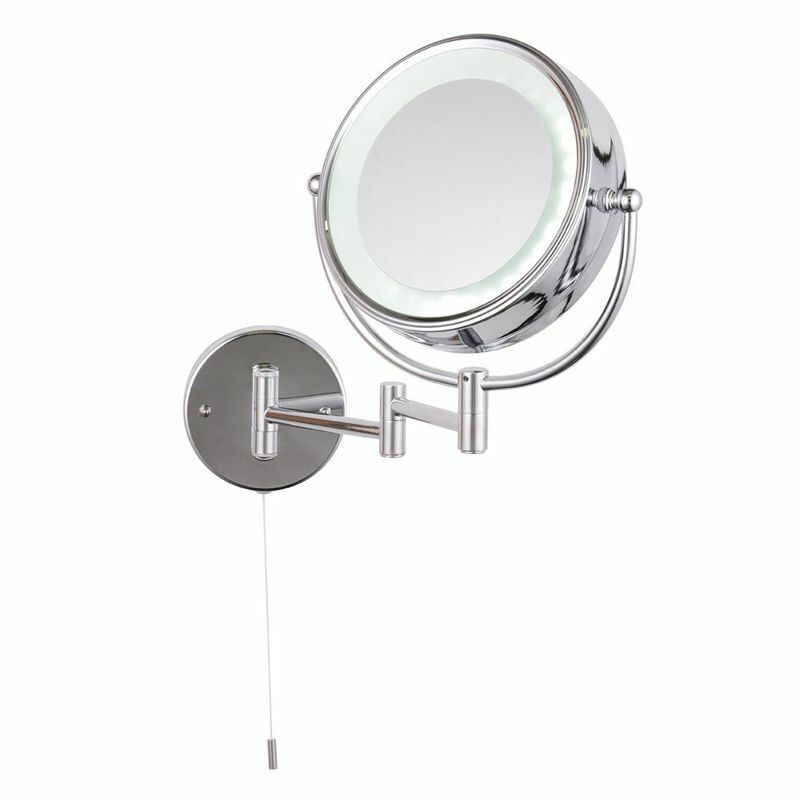 For more Litecraft Bathroom Lighting check out our Blog post. 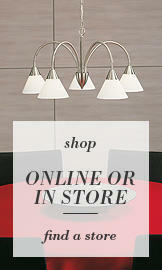 For instance check out our Marquis By Waterford Lighting Range for a Twinkling Retreat post.